(December 21, 2017) – On December 20th, the House and Senate approved the conference report to H.R. 1, the tax reform bill. 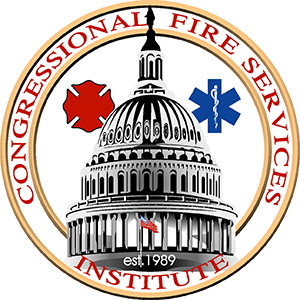 While the tax bill could have far reaching implications on individuals, businesses, and local governments, there are some provisions in the bills that have a specific impact on the nation’s fire and emergency services. The bill classifies “fire protection systems” as an eligible property under Section 179 of the tax code. This provision allows small and medium-sized businesses to fully expense certain types of equipment purchases like machines, equipment, vehicles, and computers. With the expansion of Section 179 to now include fire protection systems, small and medium-sized businesses will be able to fully expense, up to $1 million, the retrofit of a property with automatic fire sprinklers. The cost of fire in America is enormous. In 2015, fire claimed the lives of 3,280 civilians and led to 15,700 civilian injuries. The direct property damage caused by fire was an estimated $14.3 billion. One of the most effective ways to minimize the loss of life and property to fire is with automatic sprinklers. Current building codes require sprinklers in many of the most vulnerable occupancies, such as student housing, commercial and residential high-rise, and entertainment complexes. Unfortunately, there are still thousands of structures that were built and put in service before sprinklers were required. In many jurisdictions, these structures are grandfathered from current standards despite the dangers of these occupancies. Providing an economic incentive to property owners to do the right thing and retrofit properties with automatic fire sprinklers has the potential to have a significant impact on addressing the nation’s fire problem. H.R. 1 also increases the cap on allowable annual contributions into a Length of Service Award Program (LOSAP) from $3,000 to $6,000 and establishes a mechanism for the cap to be raised over time with inflation. The current cap was established in 1996 and has not been adjusted since. A LOSAP is a retirement account for volunteer emergency responders in which approximately 20 percent of the 814,850 volunteer firefighters in the United States are enrolled. Many communities provide modest financial incentives to their volunteer firefighters and EMS personnel to boost recruitment and retention and LOSAP is one of the most popular benefits. H.R. 1 will now be sent to the White House to be signed into law by the President.